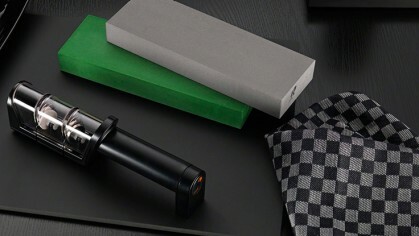 Follow the step-by-step guide to professionally use a whetstone to sharpen your MIYABI knife. Please read all instructions in full before starting to sharpen your knife. 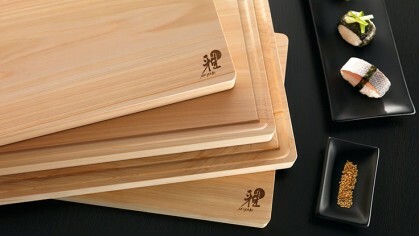 Immerse the sharpening stone in water for five minutes before using. Then place the non-slip side of the stone facing down into the wooden base. For best results, maintain the wetness of the stone throughout the entire process. 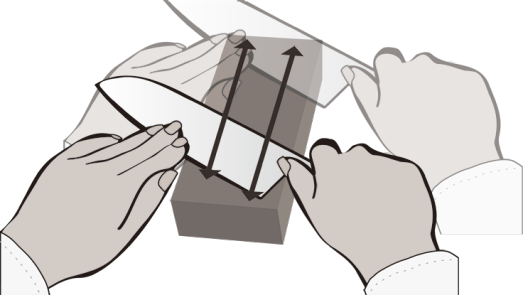 A grey fluid is produced during sharpening; do not wash it off as it improves the process. 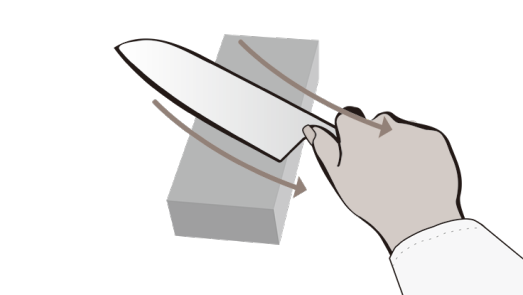 Now hold the handle of the knife firmly in one hand and, with the blade facing you, place it on the sharpening stone at an angle of 10 - 20°. 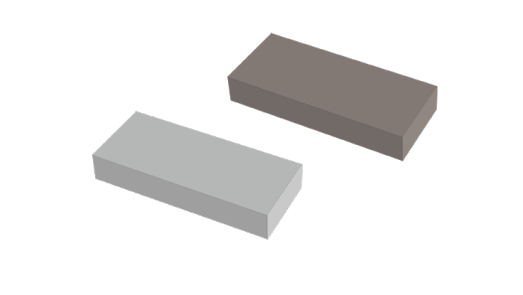 Make sure that there is a gap of approximately 5 mm (depth of 2 x £1 coins) between the back of the blade and the sharpening stone. Place your free hand on the blade, but never directly on the cutting edge. Now turn the knife over so that the blade is no longer pointing towards you. Continue to maintain the angle of 10 - 20° and the gap of approx. 5 mm from the back of the blade to the sharpening stone. Slide the cutting edge up and down over the sharpening stone. Grind both sides of the blade alternately, around five to ten times on each side. 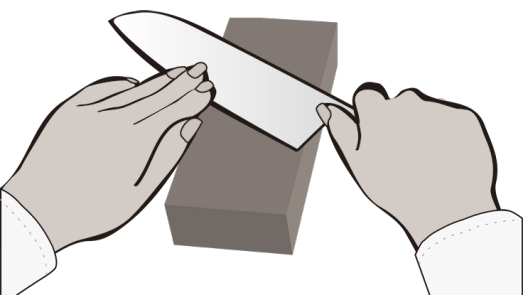 To remove the resulting burr from the knife, draw the knife in a curve from top left to bottom right across the sharpening stone. 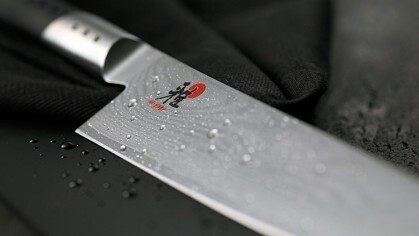 Then hold your knife under running water to remove all residue and then dry it carefully. 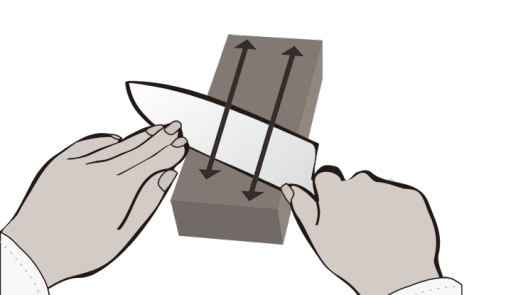 You can use a sheet of paper to check the sharpness of your knife. 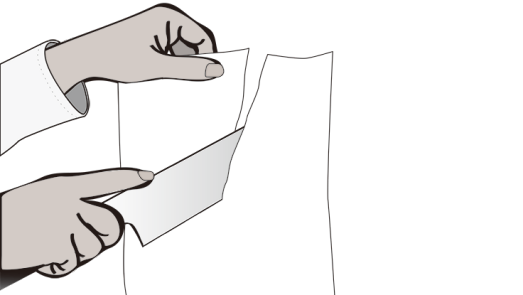 Your knife is perfectly sharp if it glides through the sheet of paper under light pressure and without slipping. If you are not yet satisfied with the sharpness of your knife, repeat steps 1-5 until you have achieved the desired sharpness. At the end of the grinding process, remove all reside from the sharpening block and dry it well. Store the stone in a cool, dry place – away from direct sunlight.